Now in Baldwin Park...classes posted here! We've brought Yes You Canvas! to Orlando! Visit our Facebook page to see thousands of new artists of all ages who have discovered that it doesn't take any experience to paint a masterpiece...just the desire to do well! Morning kids' paintings at 11 a.m. every Saturday and on school holidays. Click here to learn more. 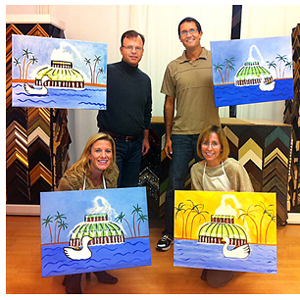 Evening adult paintings at 6:30 p.m. on Fridays, Saturdays, and selected weeknights. 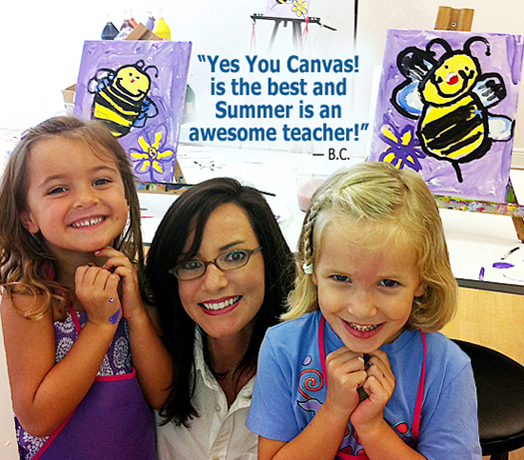 Paint along with us for about two hours on a big 16" x 20" canvas! Special paintings at other times during the month. Check the calendar to see what's up this month!